Wednesday Night Activities is the place to be. We offer a delicious home cooked meal each week from 5:30 – 6:15 pm. 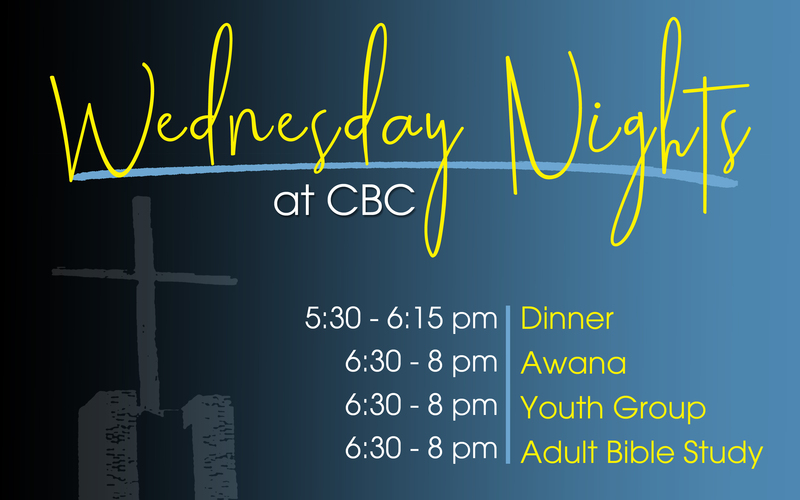 Followed by our Awana Clubs, where clubbers will have the opportunity to hide God’s Word in their hearts and learn more about Him in a fun environment. Our Youth Group meets for Bible Study, Worship and fellowship with fellow peers. And our Adult Bible Study gathers to dive deeper into God’s Word. Nursery Care is also available.